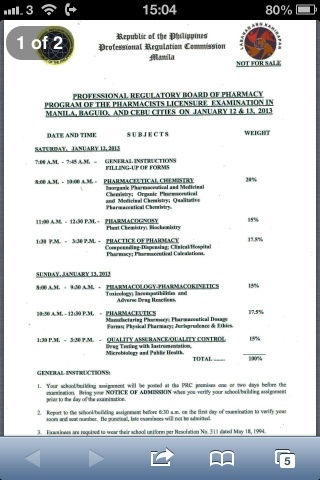 On behalf of all Pinoy Pharmacists around the globe, we would like to say God Bless to all Examinees of Philippine Pharmacists Licensure Examination in Manila, Baguio and Cebu Cities on January 12 - 13, 2013. 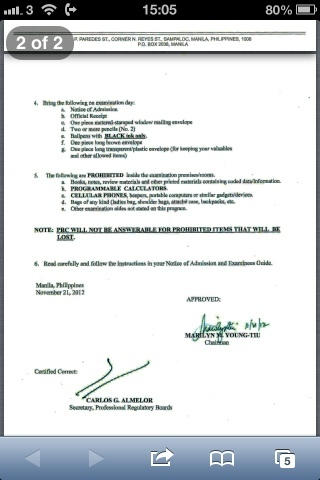 Here are the snap shots of the Professional Regulatory Board of Pharmacy Programme for your guidance. Again, may God's strength, knowledge and wisdom be with you all.